Two years ago I started documenting my adventures of walking the Alki History Trail. 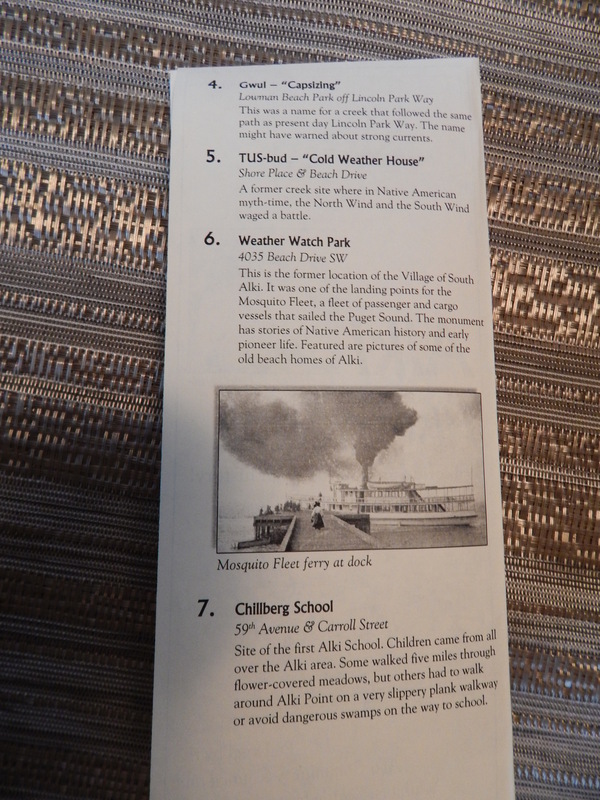 The little guide I found at the Southwest Historical Society Log Cabin Museum has 24 stops on it. I got distracted by other projects after I published the 6th stop. That was despite having photographed and walked through to the 13th stop. Guess life just got in the way and there you go.. I was off chasing butterflies and other serendipity moment. Then this week I got a comment from a reader who found my 8 existing chapters. They showed so much enthusiasm that I remember I had existing material I could get started with. Then who wouldn’t want an excuse to walk around Alki some more? 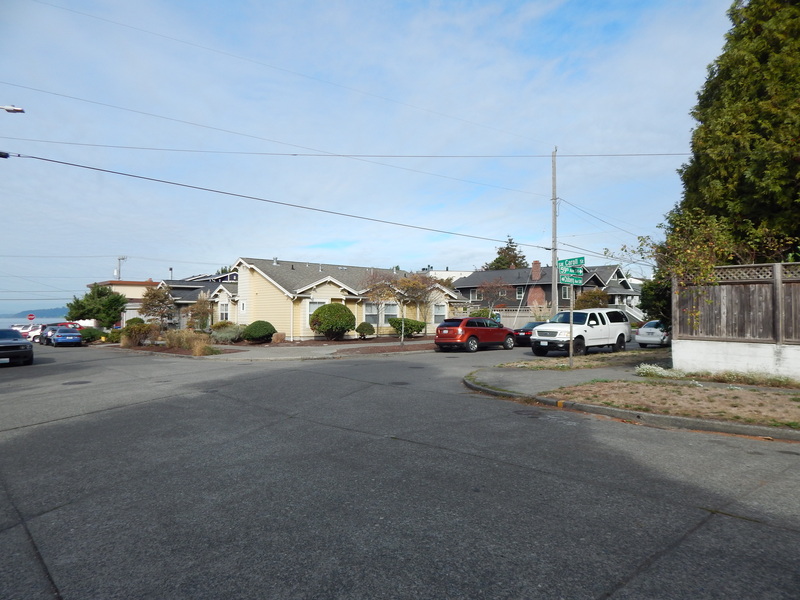 The #7 stop is where the first Alki Elementary School stood. 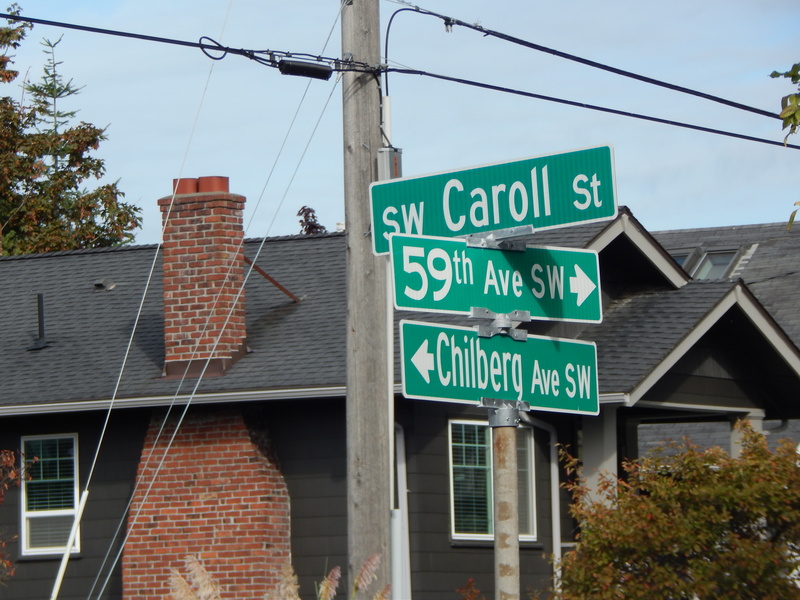 That is the intersection of 59th Ave SW which turns into Chillberg Ave SW & he cross street of SW Carroll Street (this comes east from the water). That is just a block up from the beach at Weather Watch Park. Yes this little sleepy corner of West Seattle was hopping with the store, ferry service, a school and a cluster of homes and cabins. 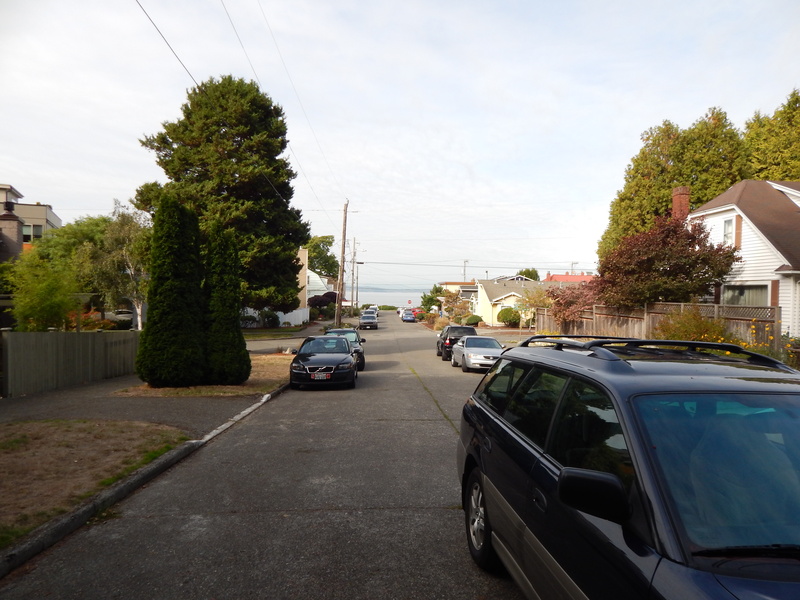 Alki School was on the distant right corner. Site of the first Alki School. Children came from over the Alki area. Some walked five miles through flowered covered meadows, but others had to walk around Alki Point on a very slippery plank walkway or avoid dangerous swamps on the way to school. Guess what? None of that exists today. We have built ourselves houses and roads that cover everywhere except park land. Alki original school was here – sure has changed! On History Link here is what it says about this little school. From 1909 to 1912, younger children went to a double portable on Carroll Street and Chillberg Avenue, the first Alki School. Children ate their lunches in an open shed in back of the school. 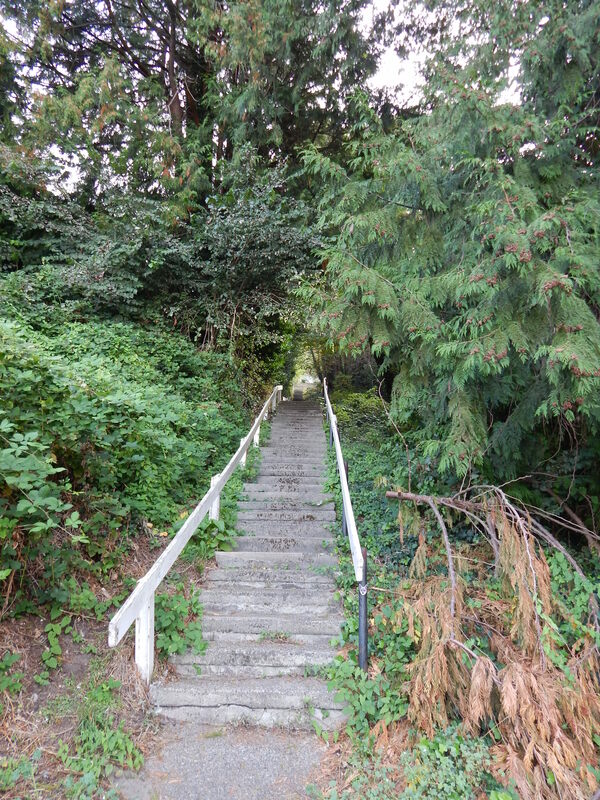 When the weather was nice, classes were held on the long flight of stairs behind the school at the end of Carroll or in the madrona grove at the top of the stairs. Stairs heading up – is this the set the kids ate lunch on? I did a bit of digging but never could find a photo of the old school, only the replacement that was built on the current site of Alki Elementary came up.